The day after Christmas is called ‘Boxing Day’ which was traditionally the day that the better off classes in England would give a box with some gift to their underpaid servants to soothe their class-guilt. 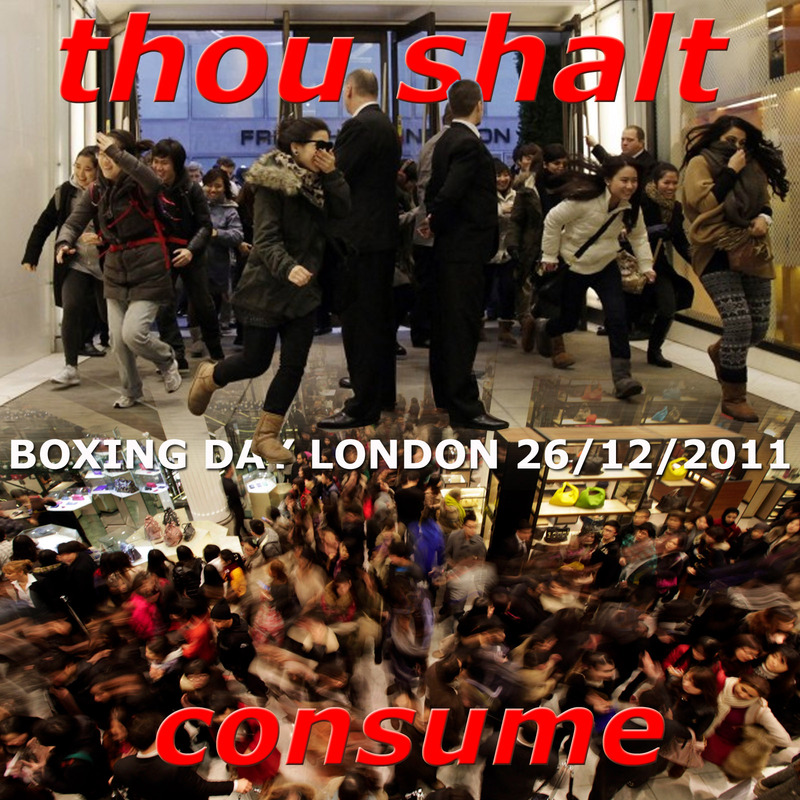 Since long this has been diverted into a big shopping sales day for the masses. This year the London subway servants choose to strike on this popular outing day, but as double decker busses remained in service the eager crowds could storm the shops nevertheless. One wonders if not most of the goods with a lowered price have a ‘Made in China’ stamp on it, and when a new kind of ‘Boxer Rising’ will occur to put an end to the exploitive working conditions in China and other low wage countries that are flocking our discount stores and stalls with their products.